Let’s talk about binary numbers! Today, I am going to be reviewing a simple activity to help students as young as age 4 learn about the binary number system. 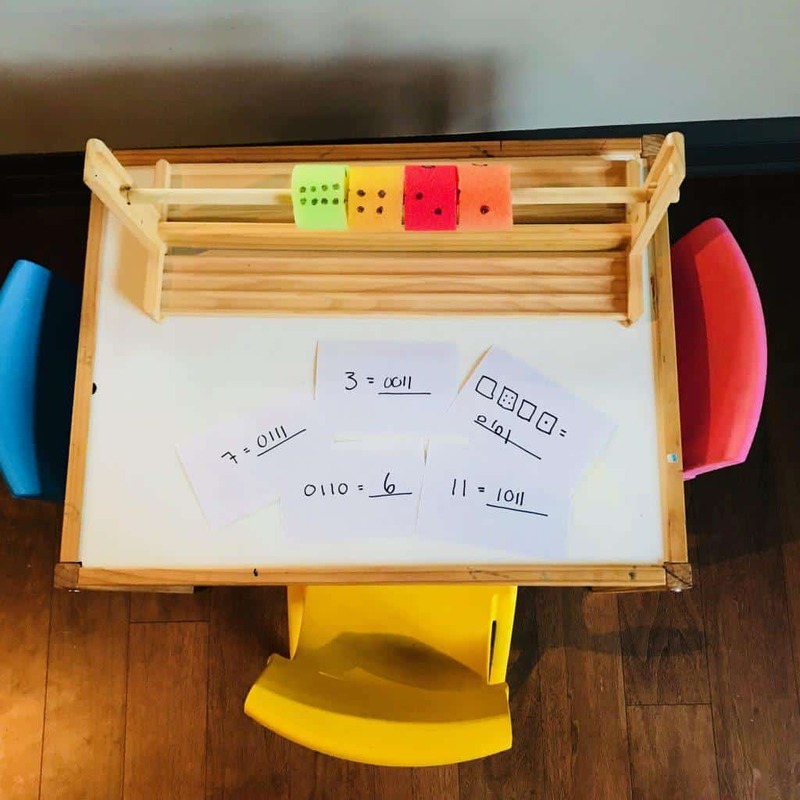 This learning corner activity is perfect for a ‘classroom learning center’ or ‘math center’ in the primary classroom or home. Students will practice their counting skills and use problem-solving to help learn binary numbers. Teaching young children about binary numbers doesn’t have to be difficult. 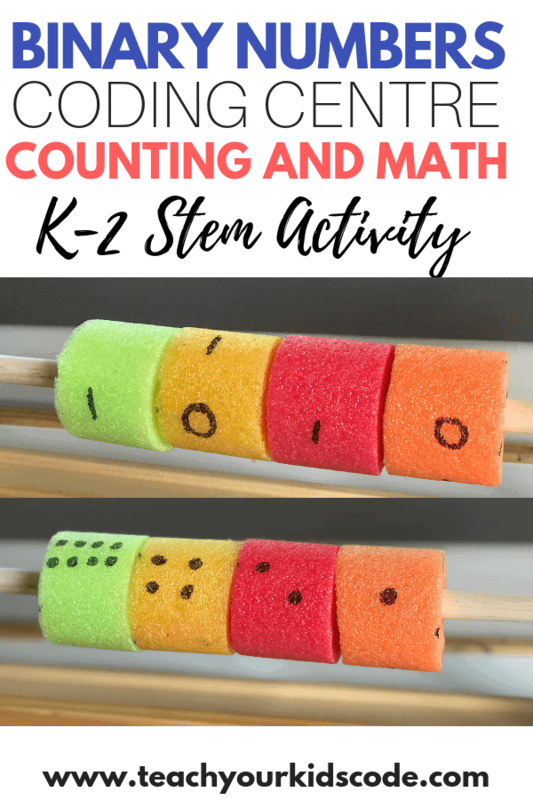 This simple STEM activity will aid your child or students in learning the skills needed to decode binary numbers and start thinking like a computer! One of the first things our children learn to do is count to 10. It’s a skill we practice from an early age, and conveniently, we can use our 10 fingers to count with this 10-digit decimal system. Did you know that computers count using an entirely different system? They only count with the symbols 0 and 1. Computers store data using the binary system. All of the information that we store on computers, from pictures to games and even videos is stored using the binary number system. This activity will take 5 minutes to prep. 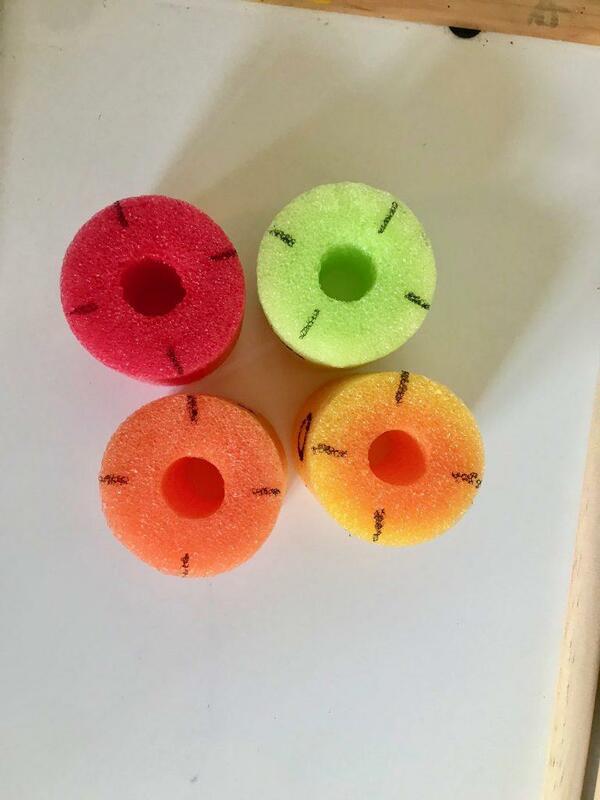 Prepare the pool noodle by cutting it into 4 pieces each 2 inches wide. You can use an x-acto knife or a regular kitchen knife to cut the pool noodles. You will then want to line up all of your pieces so that the marks are aligned and insert them onto the tabletop paper holder. From here you will use the sharpie marker to add in the dots and binary symbols. Watch the video and read the instructions below to understand how to line up and create this binary counting system. At the first mark, you will want to put dots to represent the numbers 8, 4, 2, and 1 (from left to right). Rotate the dots upwards and leave the next ‘row’ BLANK. This step is important! Rotate the row upwards again and create a row of 1s across your pool noodles. Rotate the row upwards again and create a row of 0s across your pool noodles. This activity center will help students to decode decimal numbers from 1-15 into binary numbers. Therefore you can create cue cards using any numbers from 1-15 and ask students to translate the decimal number into binary code. For younger students (kindergarten), a visual representation of dots will be easier. My son is 4.5 years old and he was able to understand the dot system when we did this activity. No time to prepare flashcards? 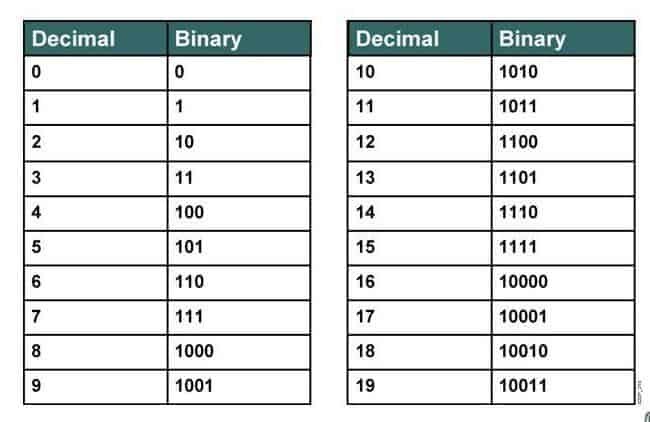 Check out this free printable binary numbers PDF with all of the flashcards you need for this activity already compete! Take the tabletop paper holder and set it up on a low table so you both can work comfortably. Once matched help your child by holding the pool noodles altogether and rotate them all at the same time to reveal the binary number! My son loved this activity. The idea that he was solving a code thrilled him and he loved figuring out how many dots he needed to make up a given number. I hope you enjoyed this activity as much as we did! Looking for more unplugged computer programming activities? Check out our unplugged coding with a deck of cards, glowstick activity to learn cause and effect. Katie is mom of two rambunctious boys and a self-proclaimed super nerd. With a background in neuroscience, she is passionate about sharing her love of all things STEM with her kids. She loves to find creative ways to teach kids computer science and geek out about coding and math. You can find her blogging at Teach Your Kids Code and in her spare time, documenting her families travels at Tear Free Travel. Join the thousands of other families who are interested in teaching their kids to code! 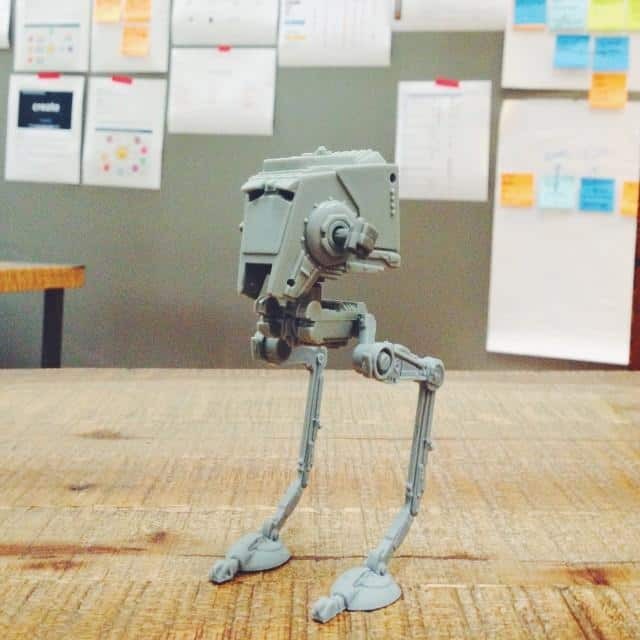 You'll get access to amazingly simple and fun ideas to get your kids coding in no time! Teach your kids to code with a deck of cards! Egg carton unplugged coding activity! The best robot toys for kids to learn to code!